Receive a Founding Member badge. Add an additional $5.00 and receive an oversized badge. 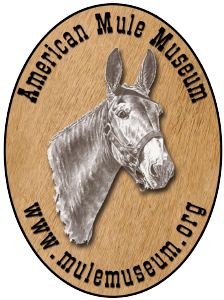 Receive the American Mule Museum Newsletter. Click the Buy Now button to purchase your Founding Membership online today. Please email us at info@mulemuseum.org for questions, more information or to be placed on our mailing lists. Please join us in our efforts to tell the story of the American mule particularly in the West and the Sierra Nevada Mountain Range. We welcome your support both as a member, a volunteer and financially. Join us at our monthly open general meeting.